. :: SUBSCRIBE THROUGH HT'S WEBSITE AND WATCH AACHEN 2015 LIVE NOW ::. 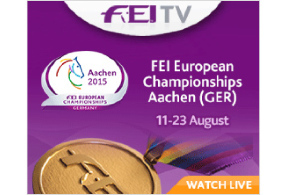 Excellent news for the international equestrian community as FEI TV (FEITV.org) will offer live streaming and extensive Video on Demand coverage from the FEI European Championships 2015 from Aachen (GER). The content portfolio includes high quality live and on-demand streaming of flagship FEI events. 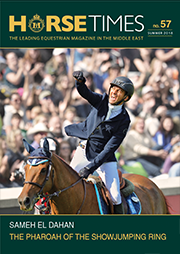 This features a wide range of shows from FEI’s most important series and championships, including the FEI European Championships and other leading competitions. Sign up today through HORSE TIMES' website.